Are all Actuators for Valve Package (VPA) accessories 24VAC? Yes, all Actuators for VPA accessories are 24VAC. Are copper fin coils available? Yes. Please contact Magic Aire Customer Service for a special quote. Are factory provided/field installed electric resistance heaters for BV and BM products available with SCR (silicon controlled rectifier)control? 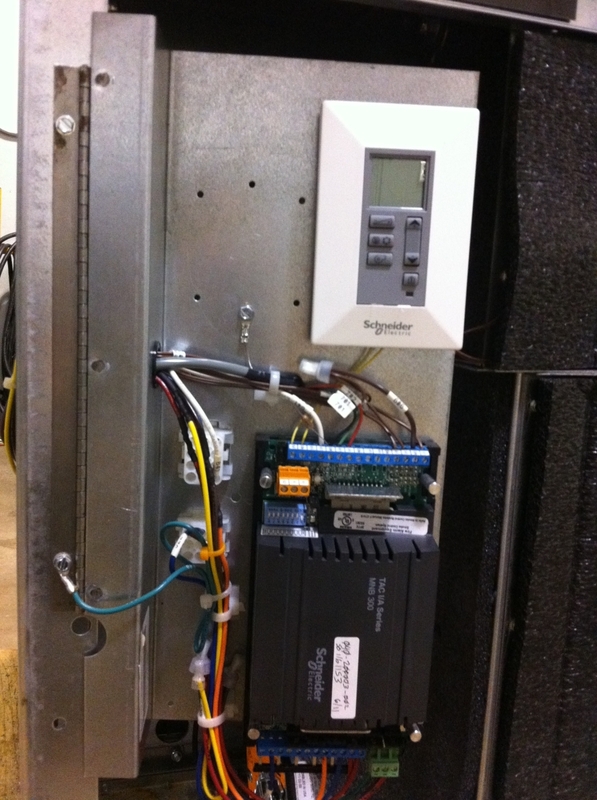 Yes, SCR control for field-installed accessory electric heaters is available. 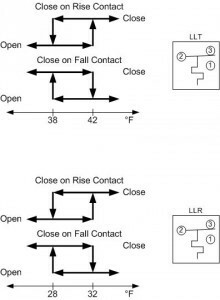 SCR control type is "zero firing" where the heater is rapidly cycled on and off to vary the load. Please contact Magic Aire Customer Service for a special quote. Are Magic Aire Unit Ventilator TXV’s heat pump compatible? Can I use a Magic Aire Unit Ventilator for DX heat pump service? Magic Aire Unit Ventilators DX coils are ready for heat pump service using bi-flow thermal expansion valves. Electric heat can be ordered in combination with the DX coils but this combination is not available with a face and bypass damper. 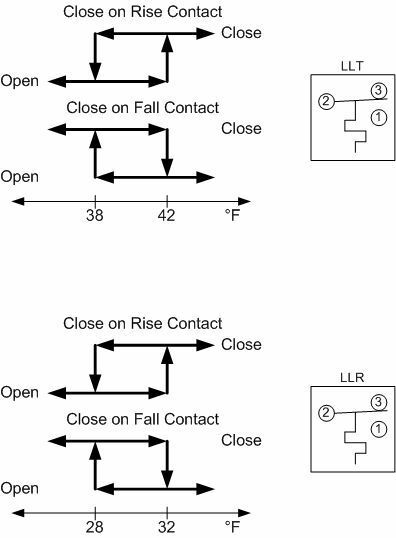 Controls would need to be provided by others for a heat pump control sequence with supplemental electric heat. Are the TXV valves used with the Unit Ventilator DX coils adjustable? No. Unit Ventilator DX Coil TXV’s are biflow. Literature is available for each type (R-22 and R-410A). Are Valve Package Accessories (VPA) valves rated for steam service? The VPA valves are not for steam service. Are Valve Package Accessories available for rooftop (BR) units? Valve Package Accessories are not for outside use and are not available for BR units. Can I use a Magic Aire unit with R-22 or R-410a coil with refrigerant R-407c? Magic Aire R-22 Coils and components are compatible with R-407c refrigerant. Air handlers with R-22 coils and thermal expansion valves will operate with R-407c at approximately 6% lower capacity than the published R-22 performance. As an alternative for the BV product, the customer could order an R-410a coil without a TXV (Selection “A”). The unit will be marked for R-410A, but the customer can field-provide and field-install an R-407c TXV which will be more precise than running R407c through an R22 TXV. Note that the R-410A coil’s pressure rating is more than adequate for R-407c. Can I use a single-circuit condensing unit with a Magic Aire unit that has a dual-circuit refrigerant (DX) coil? If so, how do I install the piping? Magic Aire dual circuit refrigerant coils can be used with a single circuit condensing unit. Note that customer is responsible for sizing condensing unit for the application. In all situations, the installation instructions from the condensing unit manufacturer take precedence. Do Valve package accessories include pressure/ temperature ports? Yes. All Valve Package Accessories include pressure/ temperature ports. Does a unit have to have a Motor Start/Stop station (MSS) accessory in order to have Valve Package accessory (VPA)? No, the factory offers both as seperate accessory options. These are to be used as components of a supplied-by-others Control System. Does the Valve Package Accessories come with a bleed line for a two pipe system? No, bleed lines are currently not provided by the factory for the Valve Package Accessories. How do I order a Valve Package for my belt drive and direct drive units? Valve Package Accessories can be ordered using New Magic software. Valve packages can be selected at the same time as units, saving customers time in selection and reducing the number of vendors necessary to fulfill an order. Each valve package is custom selected for the unit and coil type it will be used with which will reduce errors in selection. This includes coil dimensions and necessary WPD requirements. 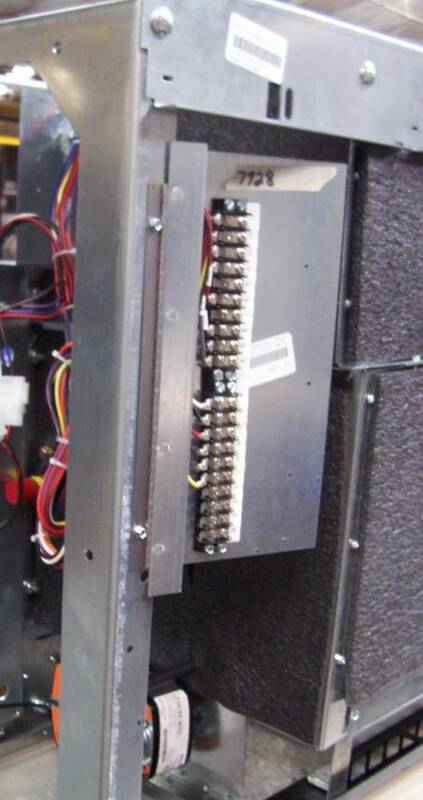 If a motor stop/start station (MSS) is not ordered, is a transformer (24VAC), contactor, and disconnect switch still required for a unit with a VPA accessory? 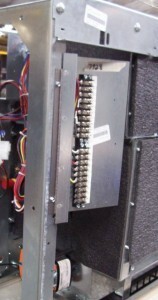 Yes, the same components (24VAC transformer, contactor, and disconnect switch) that is normally required for a unit with a VPA accessory will need to be field provided if MSS is not ordered from the factory. Is a 110 VAC Acuator available with Magic Aire AHU Valve Packages? No, a 110 VAC Acuator is not available. What are the fins per inch (fpi) for Magic Aire unit ventilator coils? 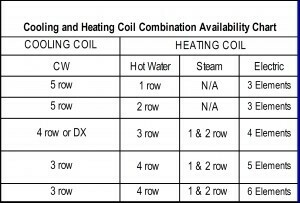 For Units 500-1500 CFM, the 5 row high capacity coils are 14 fpi and all other standard capacity coils are 10 fpi (hydronic and DX). For 2000 CFM units, all of the coils (hydronic and DX) are 14 fpi. 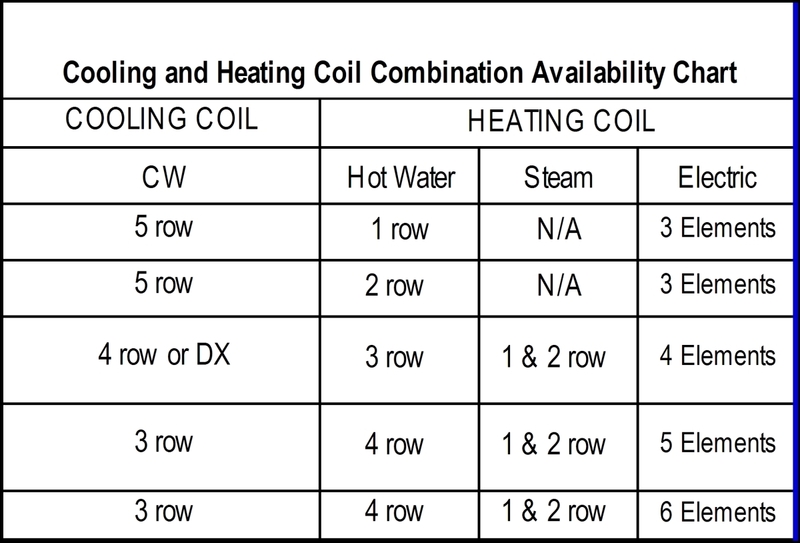 Therefore, there is not a different coil for “standard capacity 5 row coil” and a “high capacity 5 row coil”. What are the warranty terms for the Valve Package Accessories? The standard Magic Aire warranty terms and conditions apply for the Valve Package Accessories. Where should the thermal expansion valve sensing bulb be installed? The sensing bulb ships coiled up near the TXV and not installed. The sensing bulb needs to be mounted on a horizontal section of the suction line in the 3-o’clock or 9-clock position. Insulate the sensing bulb thoroughly so that it receives a good temperature signal from the gas in the sensing bulb. For 7/8″ O.D. and larger suction lines, use 4-o’clock or 8-o’clock position.